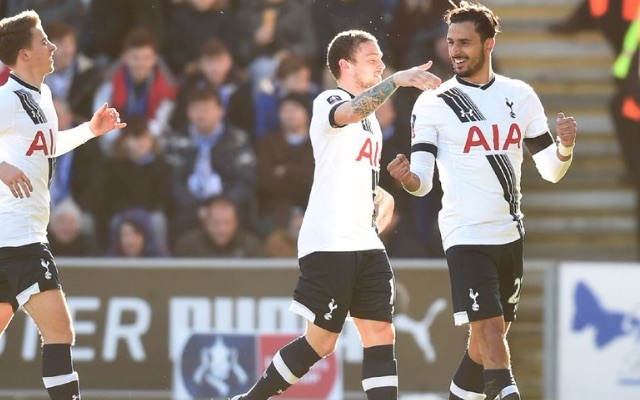 Two goals from Nacer Chadli helped Tottenham Hotspur to a 4-1 win over Colchester United which made them the first team into the FA Cup fifth round. Eric Dier and Carroll scored after each of Chadli’s strikes, while League One’s bottom side got a consolation through an own goal from Ben Davies. Here, CaughtOffside rates how Mauricio Pochettino’s Premier League title chasers performed on a comfortable afternoon at the Colchester Community Stadium. Transfer odds: What are the bookies saying about the biggest potential deadline-beating deals? Was solid when called upon aside from one early spill on the edge of his own box. 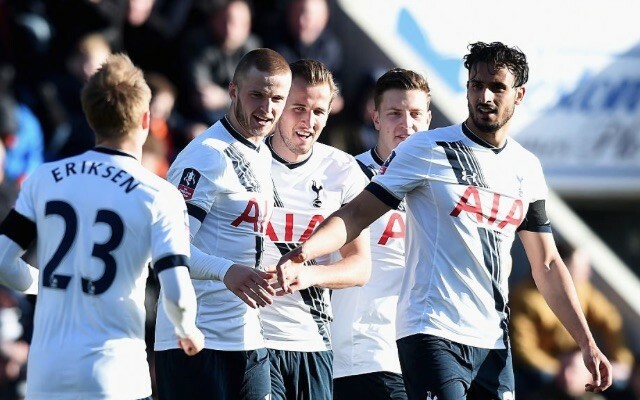 An excellent attacking outlet down the Spurs right, often delivering very dangerous crosses. The England international was unusually error-prone back in his natural defensive position, and can take little credit for Tottenham’s second goal as his long-range strike took a massive deflection. Maybe he is fatigued and could do with a rest. He has played every game when available this season. Had a decent game but bigger tests await as he prepares to step in to Jan Vertonghen’s shoes. Was bang unlucky that Gavin Massey’s shot came back off the post, hit him and rolled into the net. Still looking for match sharpness. Sometimes a bit complacent on the ball in a deep midfield position. His heat map would probably show him popping up all over the place in the midfield third, and he also displayed the ambition to involve himself in attacks, getting the reward with his goal. Hit the post with a fantastic 25-yard curler and supplied Chadli’s strike in the first half, so unfortunate to have been substituted unless it was with Tuesday’s visit of Norwich City in mind. On the periphery for most of his 75 minutes, although he did test Jake Keen with a left-footed shot. The Belgian can be a frustrating figure at times but, with two goals and an assist, was certainly the star of the show for Spurs. His first was a particularly good finish from just outside of the area, and he now has four goals in his last three games. Pochettino may reward him a league start sooner rather than later. Would have been sensing goals having been included against the country’s worst defence. That was his downfall – he was largely selfish in attacking areas and missed a couple of great chances. Came on during Colchester’s best spell, and Spurs immediately scored to make Dembele’s job a lot easier for the remaining half an hour. May have been disappointed not to start after his goal against Leicester City in the last round, but that might be an indication that he will play against Norwich in midweek. The Pochettino-entursted youngster got 15 minutes as a replacement for Eriksen, and created himself half a sight of goal in stoppage time, only to fail to get a shot away.